You have attended every routine exam and cleaning in your dental plan, and you never skip or skimp on your at-home oral health practices. The result: You have perfectly healthy, white teeth. Now you’re ready to take the next step and straighten out the imperfections in your smile, but you want to avoid traditional braces. Fortunately, at Park West Dental, Idaho Falls, ID dentists, Drs. Drake and Jacobson, offer a comfortable and nearly invisible braces option for patients with mild to moderate misalignment: Invisalign. This teeth-straightening system uses clear aligners that are made out of nearly invisible plastic and, unlike traditional braces, can be inserted and removed for special occasions, eating, and your daily cleaning routines. The aligners are BPA free and so smooth that they don’t irritate your cheeks and gums. 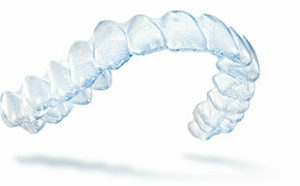 Invisalign is an invisible-braces method that begins with a consultation during which you and Drs. Drake and Jacobson plan the desired result. A series of custom-made aligners are then used to correct your unique misalignment. Drs. Drake and Jacobson will determine the length of treatment based on the severity of your unique situation. On average, patients who seek out invisible braces use Invisalign for 12 months. The cost of an Invisalign treatment is similar to traditional braces and some types of clear braces. At Park West Dental, we offer a wide variety of payment and financing options that are designed to help you achieve straight teeth with the Invisalign system. Call 208.932.4607 today to schedule an Invisalign consultation with our Idaho Falls, ID dental office and to get the straight teeth you’ve always wanted.